The Companion Animals Act 1998 provides for the identification and registration of companion animals and for the duties and responsibilities of their owners. A brief outline of these responsibilities follow. Cats must be permanently identified by the time the cat is 12 weeks old or before ownership of the cat is transferred if sooner (exemption for existing cats owned by you as at July 1, 1999). Cats must be registered by the time the cat is six months old (exemption for existing cats owned by you as at July 1, 1999). Cats must wear a form of identification that provides the name of the cat and the address or telephone number of the owner of the cat. This identification may take the form of a collar and tag. Like dogs, cats are required to be microchipped and lifetime registered, but are permitted to be outside the property of the owner. 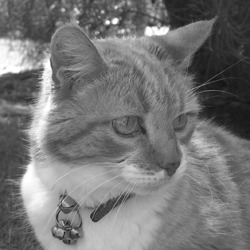 Unfortunately the average domestic cat that is allowed to wander, takes and kills seven native animals per week (animals including birds, marsupials and lizards – Greg Gordon, Wildlife Victoria.) Cats that are permitted to wander also suffer more injuries, infections and parasite infestation than those which are kept enclosed or indoors. There are no provisions in New South Wales for councils to declare a curfew on cats, but individual cats can be restricted to their owners' property where the cat has been shown to be causing damage or killing wildlife. Cat owners can take additional steps to protect wildlife by keeping the cat in an enclosure or erecting soft wire fences around those shrubs and trees that attract birds. Like dogs, cats that are not required for breeding should be desexed to prevent them from producing unwanted litters. Dog owners have an obligation to ensure that their dog does not adversely affect any other person. Dogs should be kept away, wherever possible, from adjacent private properties to prevent dogs in backyards from creating a nuisance. People with dogs in public places should be aware of other dogs and their owners, the general public and children in particular and should move to avoid conflict where it is anticipated. Even in leash free areas, dogs should not be let off leash if small children are present. In areas such as reserves or beaches, dog owners should be mindful of native flora and fauna and keep dogs on established tracks and away from fore-dunes and other sensitive areas. 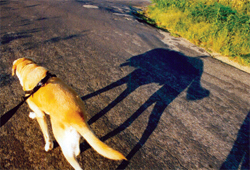 A dog that is away from the premises of the owner must wear a collar and tag. The tag must show the name of the dog and the address or telephone number of the owner. Dog tags: The Companion Animals Act requires that a dog wears a proper collar and tag. A dog must have a collar around its neck and there must be attached to the collar a name tag that shows the name of the dog and the address or telephone number of the owner of the dog. Maximum penalty $550 ($2,200 dangerous or restricted dog). If your dog’s tags do not meet these requirements, your immediate attention to this matter is required. Dogs over the age of 12 weeks must have a microchip implanted. Dogs over six months of age must be lifetime registered. If a dog defecates in a public place the dog owner must immediately remove the faeces and dispose of it in a proper manner. In some areas of the Shire, Council provides disposal bags for dog faeces but owners should always be prepared and carry their own bags for this purpose. Any one person can only have a maximum of four dogs under their control. This applies to dogs on leash and dogs off leash in a leash free area. Dogs are prohibited from children’s play areas, food preparation areas, school grounds and child care centres. Council has also prohibited dogs from other areas of the shire such as wildlife protection areas. These areas are detailed in the next section. Dogs accompanied by a person within a declared Council leash free area. Note: In a leash free area the person with the dog is still required to ensure that the dog does not attack, harass or chase any person or animal. This means that the dog must be controlled so that other users of the area are not affected. A dog participating in an obedience class or trial. A dog being exhibited in a show.